Free Raif Badawi, Saudi Blogger Sentenced To Ten Years, 1000 Lashes! URGENT UPDATE-- JANUARY 20, 2015--SAUDI AUTHORITIES INSISTED THAT THE LASHING OF RAIF BADAWI BE "SEVERE"--AS A RESULT HIS LAST ROUND OF LASHING, SCHEDULED FOR LAST FRIDAY, WAS DELAYED BY DOCTORS BECAUSE OF HIS WOUNDS! HE ALSO BRAVELY HELD UP HIS FINGERS IN A VICTORY SIGN WHILE BEING TORTURED--A PRISON GUARD HAD TO RESTRAIN HIS ARM TO STOP HIM. MORE BELOW. January 19, 2015-- A blogger in Saudi Arabia who was convicted of insulting Islam and sentenced to 10 years in prison and 1,000 lashes received his first 50 lashes by cane in a public square a little more than a week ago. His second round of lashing, scheduled for last Friday, was postponed after a doctor found that he had yet to heal from the first. The cruel, retrograde punishment of Raif Badawi has drawn worldwide condemnation, and Amnesty International has deemed him a prisoner of conscience and called for his release. Badawi's “crime” was operating a now defunct blog, the Free Saudi Liberal Network, which fostered political and social debate over Islam and liberalism. Badawi wrote about whether those two concepts were compatible, critiqued the religious police and ran posts by others critical of Saudi institutions. That initially got him jailed and charged in 2012 with apostasy — renunciation of his religion — which is punishable by death in Saudi Arabia. In 2013, he was found guilty of the lesser charges of insulting Islam and violating the information technology laws; on appeal, he was sentenced to 10 years in prison and 1,000 lashes. Not only is Badawi's punishment utterly disproportionate to his crime, but his crime shouldn't even be considered a crime. The Saudis should immediately end all plans to inflict physical torture upon Badawi. URGENT UPDATE JANUARY 9, 2015--ON FRIDAY, JANUARY 9, LIBERAL SAUDI BLOGGER RAIF BADAWI WAS FLOGGED 50 TIMES!! THIS WILL CONTINUE, 50 LASHES A WEEK, FOR 20 WEEKS IF WE DON'T ACT NOW! DETAILS BELOW. BBC-- January 9, 2015: A Saudi Arabian blogger has been publicly flogged after being convicted of cybercrime and insulting Islam, reports say. On Thursday state department spokeswoman Jen Psaki urged the Saudi authorities to "cancel this brutal punishment" and to review his case. Last year Mr Badawi's lawyer was sentenced to 15 years in prison after being found guilty of a range of offences in an anti-terrorism court, the Associated Press news agency reported. The flogging took place outside a mosque in the Red Sea city of Jeddah after Friday prayers, witnesses said. AFP news agency, quoting people at the scene, said Mr Badawi arrived at the mosque in a police car and had the charges read out to him in front of a crowd. "The flogging of Raif Badawi is a vicious act of cruelty which is prohibited under international law," said Said Boumedouha of Amnesty International. "By ignoring international calls to cancel the flogging Saudi Arabia's authorities have demonstrated an abhorrent disregard for the most basic human rights principles." Saudi Arabia enforces a strict version of Islamic law and does not tolerate political dissent. It has some of the highest social media usage rates in the region, and has cracked down on domestic online criticism, imposing harsh punishments. Raif Badawi, the founder of a liberal-minded website in Saudi Arabia has been sentenced to seven years in prison and 600 lashes after angering Islamic authorities in the ultraconservative kingdom, a newspaper reported Tuesday. Raif Badawi, through his website known as Free Saudi Liberals, had urged Saudis to share opinions about the role of religion in the country, which follows a strict form of Islam that includes harsh punishments for challenging customs. A judge in the Red Sea port of Jiddah imposed the sentences but dropped charges of apostasy, which could have brought a death sentence, the Al-Watan newspaper reported. Badawi has been held since June 2012. The newspaper did not name the judge who sentenced Badawi, nor did it say when the ruling was handed down. It was unclear Tuesday whether Badawi would receive any credit for the time he’s already served. Jen Psaki, a U.S. State Department spokeswoman, said Tuesday that the U.S. was “deeply concerned” by the sentence given to Badawi. “We believe that when public speech is deemed offensive, be it via social media or any other means, the issue is best addressed through open dialogue and honest debate,” Psaki said. Hard-line Saudi clerics have raised repeated objections to social media, including one prominent Islamic scholar describing Twitter as a path to hell. He later withdrew the comment. The charges against Badawi were based solely on his peaceful exercise of his right to free expression, Human Rights Watch said. Badawi established his online platform in 2008, to encourage debate on religious and political matters in Saudi Arabia. He has been detained in Jeddah’s Buraiman prison since his arrest on June 17, 2012. Criminal Court Judge Faris al-Harbi dropped a charge of apostasy, which carries the death penalty, after Badawi assured the court on July 24 that he is a Muslim. Badawi’s lawyer, Waleed Abu al-Khair, told Human Rights Watch that Judge al-Harbi read the verdict aloud during a trial session on July 29, and that the court will send Abu al-Khair a written notification by August 6, and give him 30 days to appeal. Abu al-Khair said that the judge sentenced Badawi to five years in prison for insulting Islam and violating provisions of Saudi Arabia’s 2007 anti-cybercrime law through his liberal website, affirming that liberalism is akin to unbelief. The judge ordered the closure of the website and added two years to Badawi’s sentence for insulting both Islam and Saudi Arabia’s Committee for the Promotion of Virtue and Prevention of Vice, or religious police, in comments during television interviews. Abu al-Khair also said the judge added three months to the sentence for `Uquq, or “parental disobedience,” apparently because of Badawi’s numerous public confrontations with his father over the years. The judge dropped the apostasy charge after Badawi affirmed to the court that he is a Muslim and recited the Shehadeh, or Muslim declaration of faith, the lawyer said. The judge also threw out the evidence that Badawi had violated the anti-cybercrime law in comments on social media sites. Prosecutors initially charged Badawi in 2011, alleging that his website “infringes on religious values.” According to the charge sheet, the prosecution’s evidence included five postings by Badawi and anonymous members of his site critical of Saudi religious authorities, and two postings regarding theological questions. During a hearing on Badawi’s case at the Jeddah Criminal Court on December 17, 2012, Judge Muhammad al-Marsoom prevented Badawi’s lawyer from representing his client, the lawyer told Human Rights Watch. Judge al-Marsoom informed Badawi that he could face the death penalty if he did not “repent to God” and renounce his liberal beliefs. Badawi refused. Recommending a trial for apostasy, the judge referred the case to the Jeddah Public Court, which tries more serious crimes. In January, the Public Court refused to hear the case, and following a lengthy process to determine which court had jurisdiction, judicial authorities eventually transferred it back to the Criminal Court. Saudi authorities have long harassed Badawi for debating religious issues. In March 2008, authorities arrested Badawi and questioned him about his website, but released him a day later. In May 2008, Badawi was formally charged with “setting up an electronic site that insults Islam” and he left the country. He returned when prosecutors apparently decided to drop the charges, he told Human Rights Watch. In 2009, the authorities barred Badawi from traveling abroad and froze his business interests, depriving him of a source of income, he told Human Rights Watch. On March 18, 2012, the well-known cleric Sheikh Abdulrahman al-Barrak issued a religious ruling declaring Badawi an “unbeliever… and apostate who must be tried and sentenced according to what his words require.” Al-Barrak claimed that Badawi had said “that Muslims, Jews, Christians, and atheists are all equal,” and that even if these were not Badawi’s own opinions but “an account of the words of others, this is not allowed unless accompanied by a repudiation” of such words. Badawi and other contributors to his website declared May 7, 2012, “A Day for Saudi Liberals,” hoping to spark an open discussion on distinctions between “popular” and “politicized” religion, Su’ad al-Shammar, the website’s director, told Human Rights Watch. Badawi’s wife and children moved abroad in 2012, fearing repercussions. 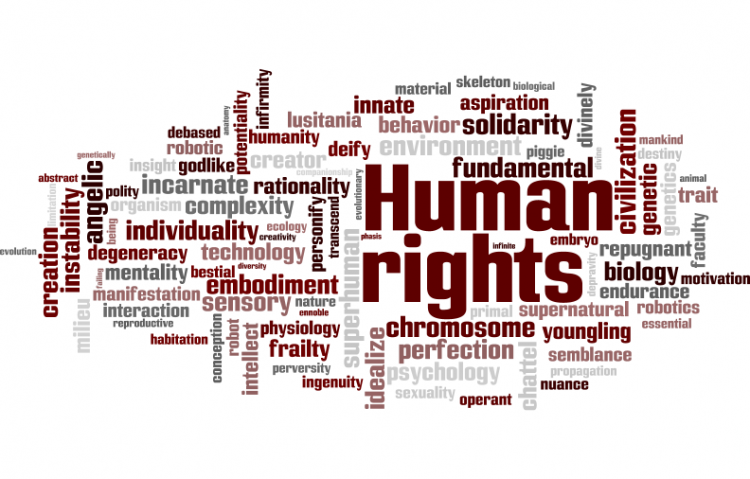 International human rights law protects freedom of expression. International standards only allow content based restrictions on expression in extremely narrow circumstances, such as cases of slander or libel against private individuals, or speech that threatens national security. Restrictions must be clearly defined, specific, necessary, and proportionate to the threat to the interest protected. “King Abdullah has received praise for fostering dialogue and an exchange of ideas between religions, but it appears that Saudi authorities’ tolerance for open discussion stops at Saudi borders,” Houry said. THEREFORE: We the undersigned demand that the international community bring all possible to bear upon the Kingdom of Saudi Arabia to IMMEDIATELY and UNCONDTIONALLY rescind the draconian sentence upon blogger Raif Badawi and drop all charges against him. The Free Raif Badawi, Saudi Blogger Sentenced To Ten Years, 1000 Lashes! petition to United Nations, Ban Ki-Moon, Navil Pillay, United Nations Human Rights Commission, Arab League was written by John S. Burke and is in the category Human Rights at GoPetition.